BURBANK, Calif. (KABC) -- Authorities are asking for the public's help to find a woman suspected of stealing about $24,000 worth of items from another woman's car in Burbank. Around 10 a.m. on Dec. 10, a suspect broke into a car parked in the 1300 block of Valleyheart Drive. 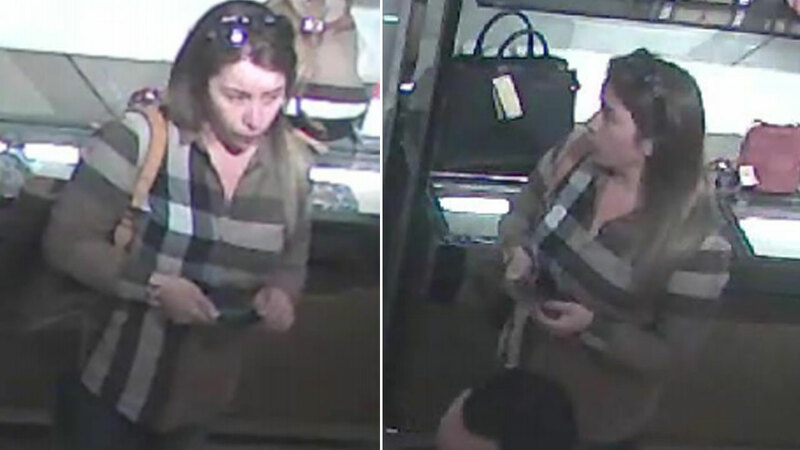 The suspect stole a Louis Vuitton purse, wallet, iPad, iPhone and wedding ring. That same day, a woman was seen at the Bloomingdale's in Glendale using the victim's credit card to purchase a Burberry bag. The woman also appeared to be carrying the victim's purse while making the purchase. Anyone who recognizes the woman or has more information was urged to call Burbank police Detective Brent Fekety at (818) 238-3279. Those wishing to remain anonymous may call Crime Stoppers at (800) 222-8477.